Where the hell did this come from. Abhi//Dijon got it. 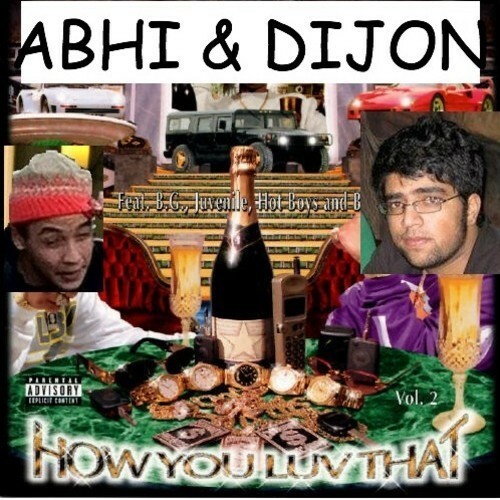 Abhi//Dijon are a singer/producer duo out of Ellicott City, MD. A stray google image held against their name suggests they're some kind of brown. And they really like Kanye West and The-Dream. That's pretty much all I've been able to discern from searching, Twitter lurking, and AIM convos with Duncan, who just put me on. But other than that, I'm pretty much lost on how such a fire EP of chunky R&B could've nearly slipped under the radar today. In some parallel universe, Donnell Jones spent two weeks in a dusty, mildewed basement with Jai Paul, and stumbled out with these four songs just as the sun was rising. "Young" is the shortest and probably most torturous: at just 82 seconds, it's a bouncing, warped ballad built on a fat kick drum and vamps that kind of sound like Common's "The Light," but nerdier. Abhi (or Dijon?) floats over with broken promises—someday I'll make it up to you, someday I'll make it up—and cuts out right before you start to buy it. The specifics don't matter if it sounds right.